I must say. Not a bad view this morning while working on my next novel. On July 24th, Giuseppe di Stefano would have celebrated his 96th birthday. 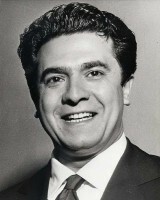 Giuseppe, or Pippo, as he was affectionately called, was one of the world’s leading tenors in the 1950s. Born in Sicily, he reached the pinnacle of the opera world, singing at all over the world, including the Met and La Scala, where he was often paired with the great soprano, Maria Callas. His recordings of operas are both fantastic and famous, with his 1953 Tosca with Callas and Gobbi sometimes labeled the greatest opera recording of all time. Giuseppe had perfect diction and sang with unbridled emotion. However, where he really stood apart from other tenors was in Neapolitan songs. Here, when he sang those beautiful songs, one could fill the Mediterranean sun and hear the waves along the shore. In celebration of his life, find a recording or do a search on You Tube, and just listen to a God given voice. Below is a great table that sets forth phrases you can substitute in for the word “very” which really makes your writing sparkle. Also check out their website at ProofreadingServices.com. I am so exited about the release of a biography on the life of Arturo Toscanini- released as we celebrate the 150th anniversary of his birth. It was written by a great writer- Harvey Sachs. A true musical giant. He knew Verdi and Puccini. Was the darling of La Scala. A man of courage in his convictions, I can’t wait to dive into his story. I will be sure to post a review of this monumental biography once done. The cover of A Song for Bellafortuna has been nominated in the Indibrag Medallion best cover contest.